Everyone knows that dining hall meal: the one where the only dessert available is a chocolate chip cookie. Well, hope is not lost! In fact, you’ve just been presented with an opportunity to create a warm chocolate chip cookie ice cream sandwich. This sandwich balances the cool, creamy sweetness of vanilla soft-serve with the warm, chewy, gooey goodness of a chocolate chip cookie. And, if you’re feeling extra adventurous, add a pinch of salt to the cookie to make it just a bit more savory! 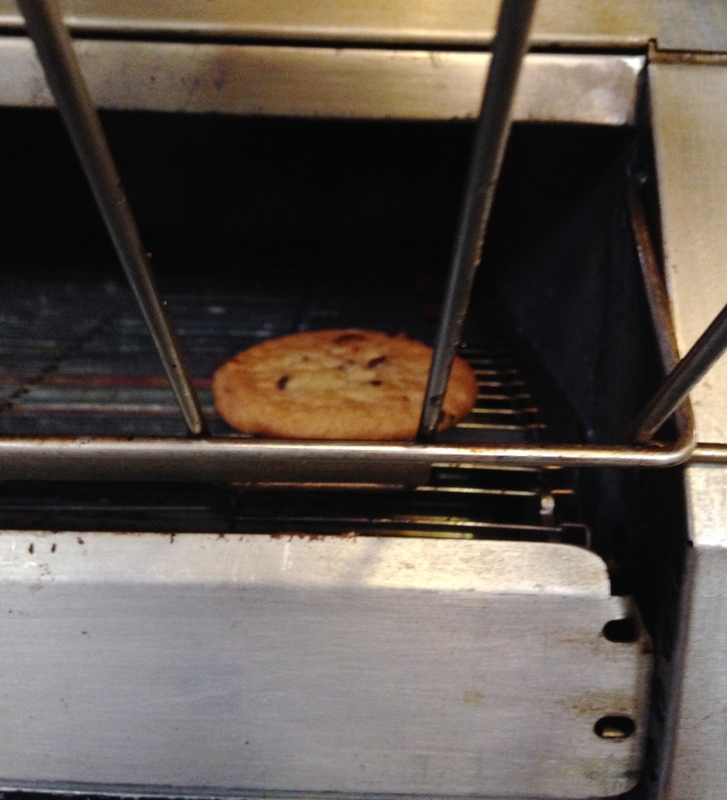 Put two chocolate chip cookies in one of the dining hall conveyor toasters. Remove when chocolate chips are somewhat melted. 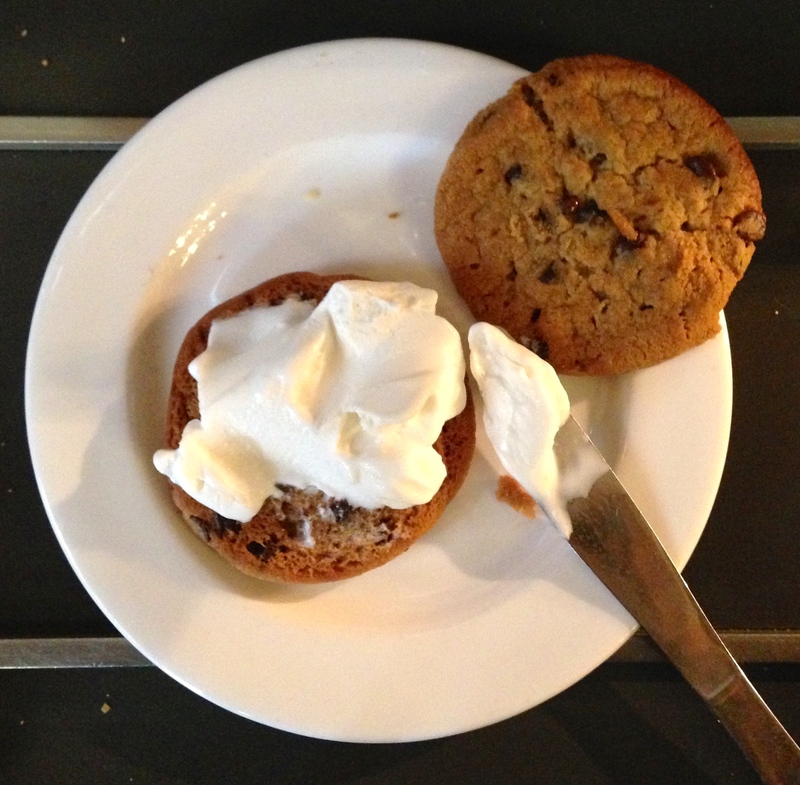 Take a generous dollop of the vanilla soft-serve and, using a knife, smear it on one of the warm chocolate chip cookies. Complete the sandwich by placing the other chocolate chip cookie on top of the cookie that is already covered with ice cream. If you’d like, sprinkle some salt on top of the whole sandwich. Enjoy!